Mummy was in panic mode. Her little boy's birthday party was in full swing, and she had just realised that she had forgotten to make any pudding. What is a third birthday party without pudding! It was a disaster in the making. What was she going to do? The kids were running riot all over her house. She needed a miracle and fast. She was standing in her kitchen wondering what to do when, Flash! The kitchen was filled with the glow of a thousand twinkling stars and a smattering of fairy dust. In the middle was a lovely Angel with a pearly halo. "I am the Angel of Delightful Desserts, and I have come to rescue you from your pudding pickle." Before Mummy could catch her breath, the Angel cast a spell and vanished in another scattering of stars and fairy dust. Mummy just stood there, not believing her eyes. Then she noticed the packets on the kitchen counter. Pink. She moved in for a closer look. 'Angel Delight' announced the covers. 'Bubblegum flavour'. She picked up a packet and could not believe her eyes. Delicious dessert ready in five minutes! Now that was a miracle indeed. Gathering her wits, Mummy set about whipping up the perfect pudding for her son's party. Within minutes, she had bowls filled with yummy pink pudding ready and waiting. And not a moment too soon. There was a noisy clatter of feet as the hungry hordes rushed to the buffet table. 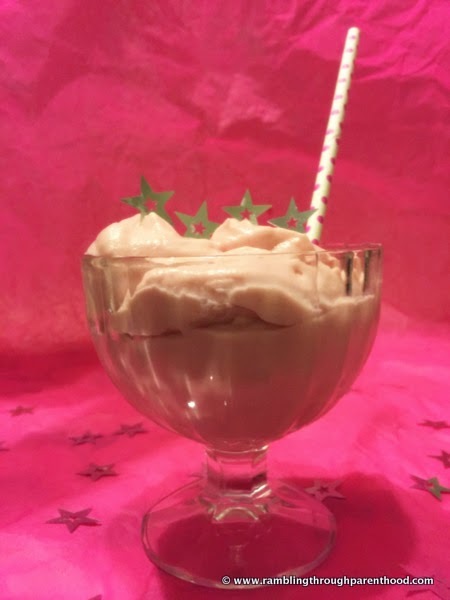 All the bubblegum flavoured pud was gone before you could say, "Angel Delight!" 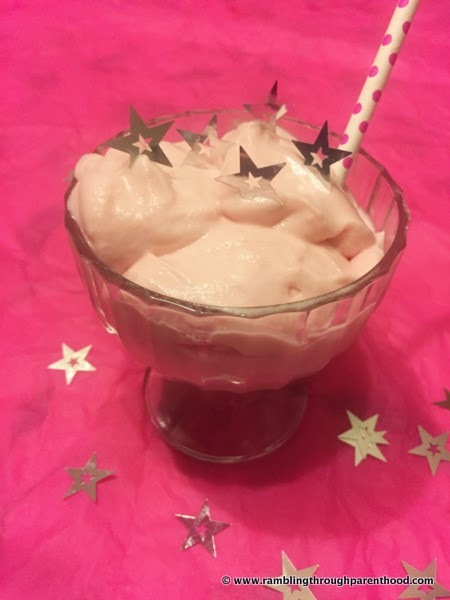 This post is an entry for #AngelDelightMoments Linky Challenge hosted by BritMums. Loved your story and you have such good writing skills. Commenting for myself and on behalf of BritMums and thanking you for taking part.